Will one grape hurt my dog? Sally is about 45 lbs. Yesterday around 1-1:30 PM she *may* have eaten a grape. A friend of mine took her out for a walk midday because I had a lot of meetings at work (I usually go home at lunch to take her out and my friend is a student so she had the time). She told me this morning that someone had left some trash bags on the street in front of their house, and Sally was sniffing at them before she realized that there were mushed up grapes on the ground the seemed to have fallen out of the trash. My friend does not think she got any at all, but isn't 100% certain - she said at most Sally may have gotten one because she didn't see her chewing anything and she noticed the grapes very quickly. I only just learned about this an hour ago! I know grapes are toxic to dogs and I never, ever keep grapes or raisins in my house. I'm really careful when I walk her as well, and I know my friend didn't mean to put her in danger, but I can't help but feel terribly anxious. From what I've read, it seems I should have seen vomiting/diarrhea by now if there was going to be a problem - is this true? Could she still go into acute renal failure? If so, after what time frame will we be in the clear? Should I take her into the vet today? Is there anything they can do at this point? Would they be able to tell if she did in fact ingest a grape? Grapes are toxic to dogs, but one grape is very unlikely to cause a problem. One study showed that 3g/kg of grapes can be toxic to a dog's kidneys. This is the equivalent of a 10lb dog eating 3 grapes or a 50lb dog eating 13 grapes. But, some dogs seem to be able to eat grapes without any renal effects. Grapes are a little bit of a mystery. We don't know why some dogs have problems with grapes. The good news is that it seems to be very rare that dogs have serious issues with grapes. In 14 years of practice I have never treated a dog for toxicity problems due to eating grapes or raisins. I have heard of other vets who have, but it's not common. I have met many clients whose dogs regularly eat grapes - sometimes every day (mostly because the owners didn't know they were potentially toxic.) and these dogs have never had a problem. Now, that's not an excuse to go and feed grapes, but it should help to put your mind at ease. There are *some* dogs who can get renal failure (kidney failure) from eating just a small amount of grapes. There are many theories as to why, but no one can prove any cause. The first sign of kidney problems would be an increase in thirst and urination. It's usually very obvious. Vomiting and diarrhea would come much later in the process if the kidneys were damaged enough to cause them to fail. Thank you for your reply! I trust what you are saying, I just want to clarify so I don't drive myself nuts. I've read in several places that the first sign of grape/raisin toxicity is vomiting within 6-12 hours after ingestion (so maybe that's not a sign of ARF, but rather the toxicity)? Is this incorrect? (you mentioned that vomiting and diarrhea don't show up until much later). I assume that now that it has been almost 21 hours, I won't be seeing those signs, but should keep an eye out for excessive drinking like you mentioned? I will do that. How long do I need to be concerned for? 3 days? Also, why does the ASPCA list a toxic dose (.7oz/kg for grapes), and then say that toxicity is not dose dependent?! I know it is not well understood, but why list a dose at all then? I'm sorry, I'm just really frustrated. I get so nervous - she's my world. Good questions. I have to admit that I have never had a case of grape toxicity in my clinic so I don't have first hand experience with this. I would think that the vomiting and diarrhea would come as a result of the renal failure, but this would take a couple of days to appear. It may be that dogs that are sensitive to grapes do have vomiting and diarrhea 6-12 hours after ingestion. I suppose if I had a dog who had eaten grapes and then had vomiting 6-12 hours later then I would want to have the dog checked out. *If* renal failure was to happen, then I would expect it to take 1-3 days. But I must repeat that the chances of this happening with ingestion of one grape are pretty small. I found this article put out by the ASPCA. 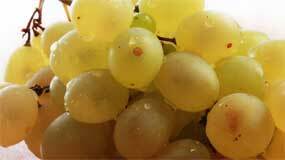 They say that in cases of grape toxicity that they have studied, the lowest toxic dose was 0.32-0.65 oz/kg. But that doesn't mean that that dose is toxic for every dog. Unfortunately there is a lot that we still don't know about why grapes have toxic effects for some dogs.